With the right conditions growing ginger is easy! Learn how to grow ginger indoors and outdoors, what growing conditions this tropical plant needs to thrive and produce an abundance of the spicy and healthy root. If you can provide these conditions growing ginger is easy! Few of us are lucky enough to have a garden with these conditions, but it is still possible to grow ginger if you do not. 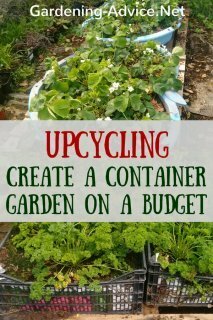 You will be able to grow it indoors in containers or in a glasshouse. Try to avoid these conditions if you plant it outside. If you are growing ginger indoors remember to move the plant if it is in a location where it might get too cold in winter. You can grab this step-by-step tutorial as a free download. Just enter your email into the box below and we will send you the link for a free pdf file! 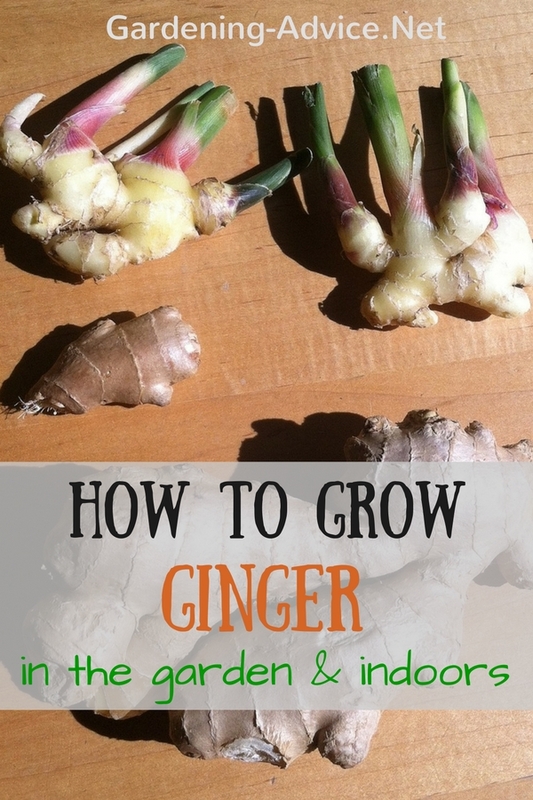 Learn how to grow your own ginger step-by-step! To get the best results for your ginger, try to use rich soil that is moist but drains well. Adding organic fertilizer and compost will improve the soil quality and enhance the growth of the ginger. 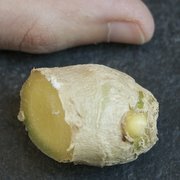 The easiest way to get hold of a ginger plant is to break the little "finger" end pieces off a root of ginger. The best ones are those with a shoot bud developing. These look like a small pyramid horn at the end of the root. Other ways are to divide an existing ginger plant or use fresh ginger root that you can buy from your local market or supermarket. The roots will shoot readily. Try to take at least a two inch length of root for the best results. Take these pieces and plant them bud upwards in an eight inch pot of loam-based compost. Keep this pot warm and constantly moist throughout the growing season. Make sure that the pot will drain well to stop the ginger roots becoming water logged. 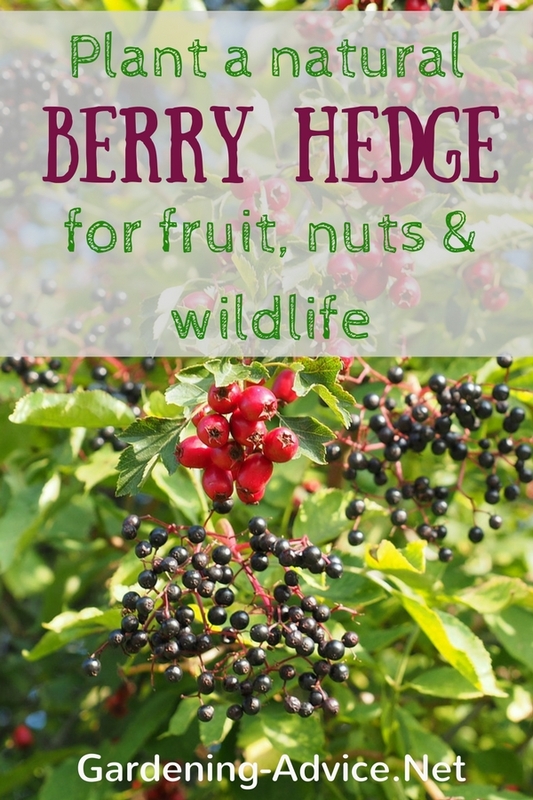 Once it is growing then you can feed it with an organic pot-plant feed every two or three weeks. When you are successfully growing ginger then you might need to transfer the plant to a 14 inch pot to give it enough room to grow. Growing ginger requires a lot of water, but only during the summer growing phase. Once the weather starts to cool down in late summer, the ginger will start to die back. At this point, reduce the water and this will encourage the ginger to form rhizomes. When the leaves are all dead, the ginger is ready for harvest. 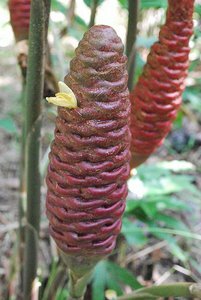 In the garden, you can start to harvest ginger after it is about four months old. The easiest way to do this is to dig carefully at the side of a clump. However, the best time is when the leaves have died down usually after about eight to ten months of growth. At this point you can dig up the entire plant. This ginger will have a lot more flavor than the younger plants. If your growing conditions outdoors are not ideal try growing this delicious spice in a container. This is really easy! 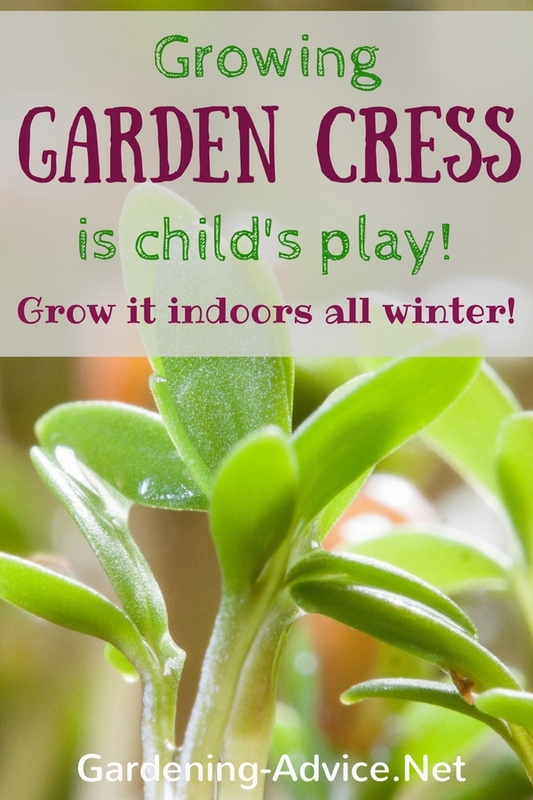 You can keep the pot outside during the warm summer season or keep it in a conservatory or glasshouse. Watch this short video for instructions! Check out this book if you are interested in the health benefits and uses of ginger. 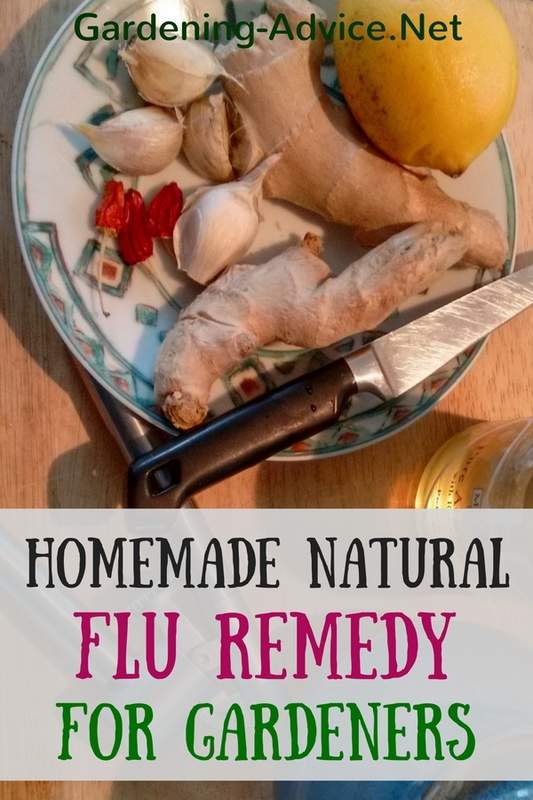 This ancient remedy has been used for centuries and is very versatile and safe to use. Ginger plants are easy to grow as long as they are not affected by pests or diseases. One of the best ways to avoid trouble is to leave some space between plants to reduce the chance of contamination. Inspect the plants on a regular basis for signs of infestation. Spider mites can be a problem to ginger in dry climates. If you find a plant that is under attack, wash the mites off with a hose and keep it moist to stop them coming back. 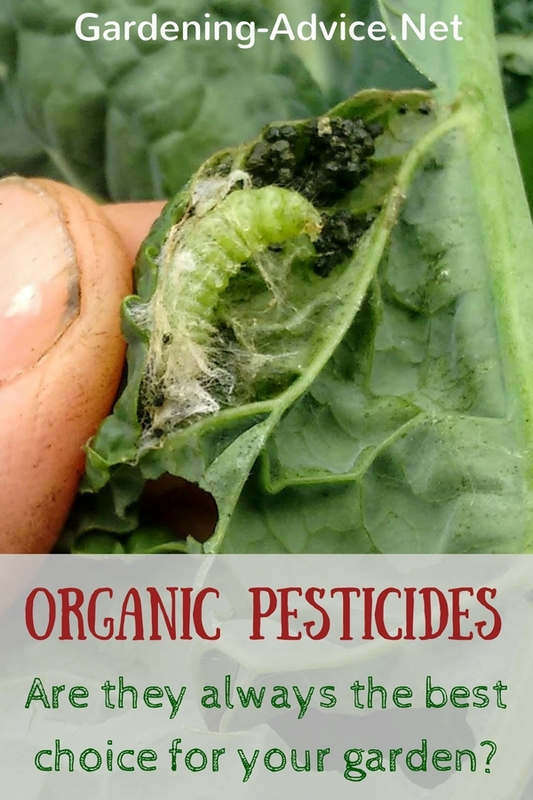 Check here on how to treat pests without chemicals. 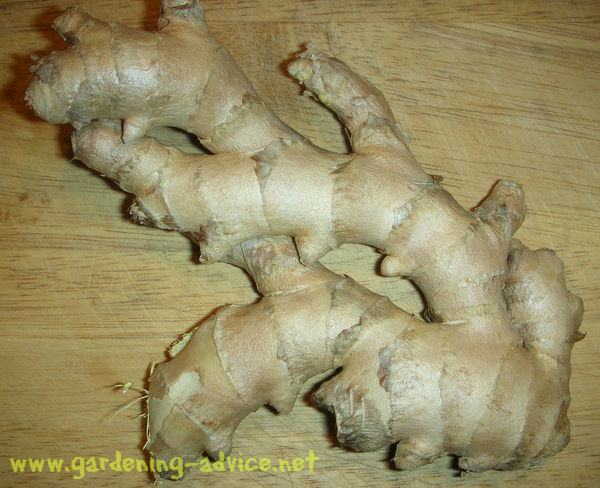 Growing ginger is a great way to have your own supply of the rhizomes that you can use whenever you need it. 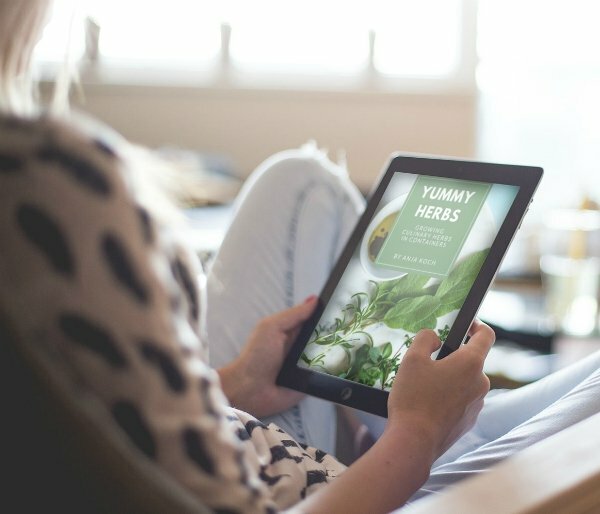 This way you can use your own plants to add great flavors to your cooking or for its medicinal uses.